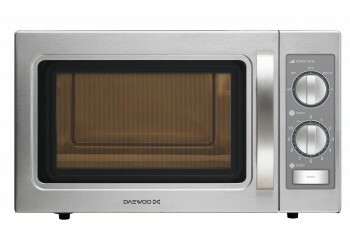 Our Daewoo microwaves are suitable for all kinds of commercial use, from heavy, everyday use, to light, occasional cooking. 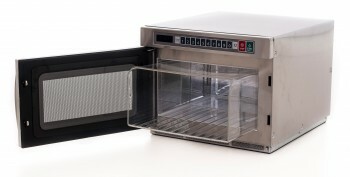 You can go as high-tech as you want too – the simple, manual control models are easy to use and ideal for defrosting and reheating. 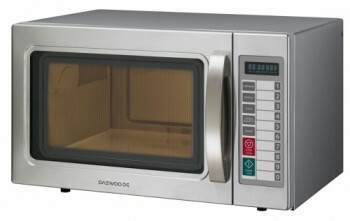 The touch control models, however, are best for everyday cooking, as they come equipped with a variety of autocook features. 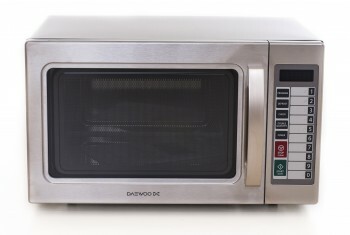 Excluding light duty models, all of our Daewoo commercial microwaves come with a three-year parts and labour warranty, giving you that extra peace of mind. Next day delivery is free, too. If you have any questions about any of our Daewoo products, please do not hesitate to contact us.